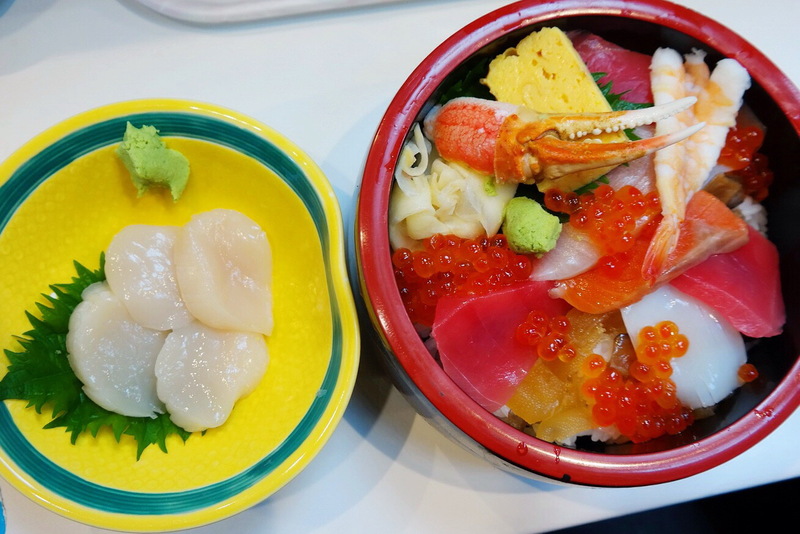 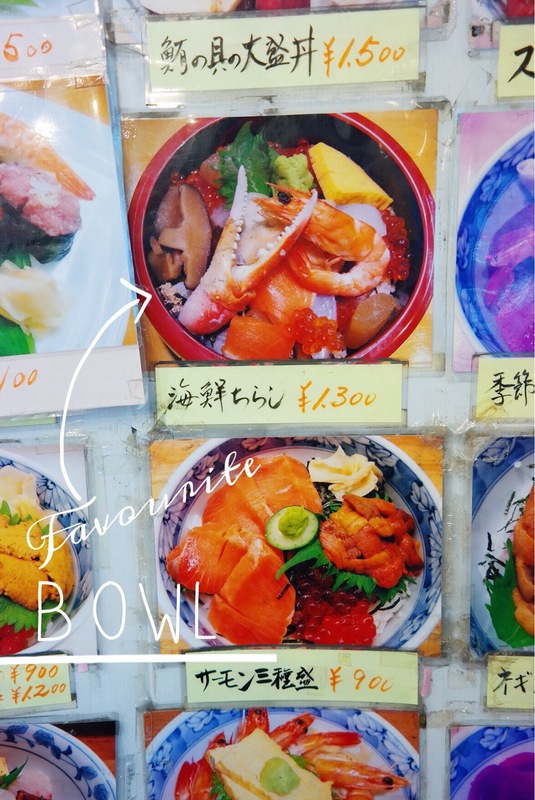 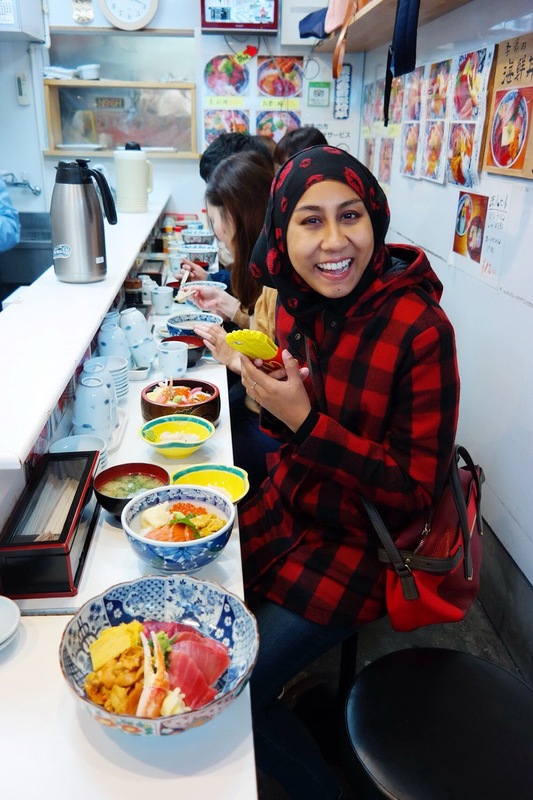 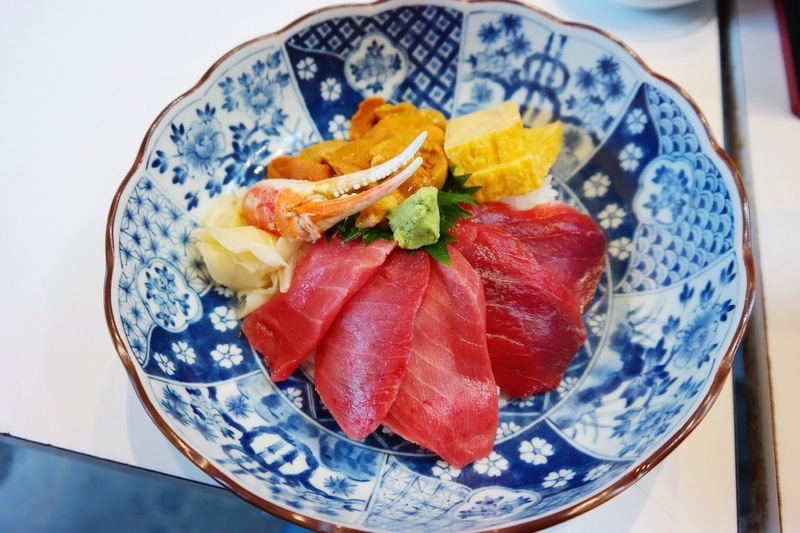 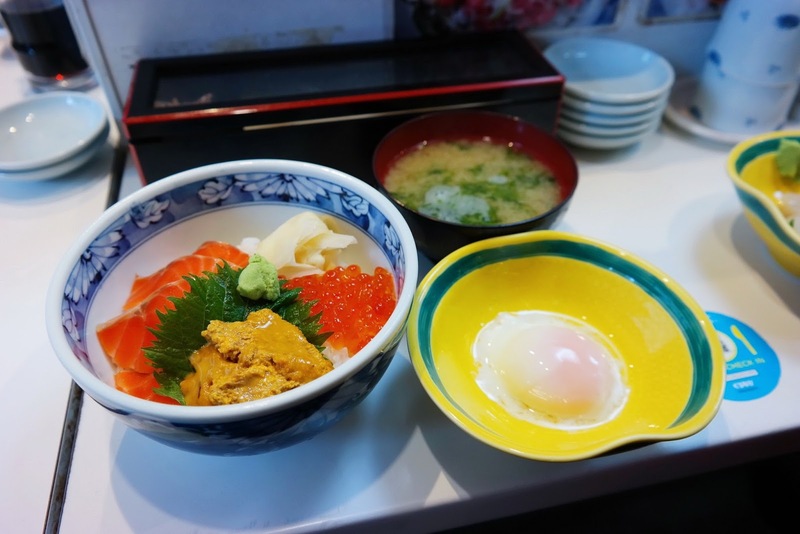 There are too many little "restaurants" to try out at Tsukiji Fish Market but for some reason, I keep finding myself going back to the same little restaurant—and yes, I've even blogged about the very same place in this post here. 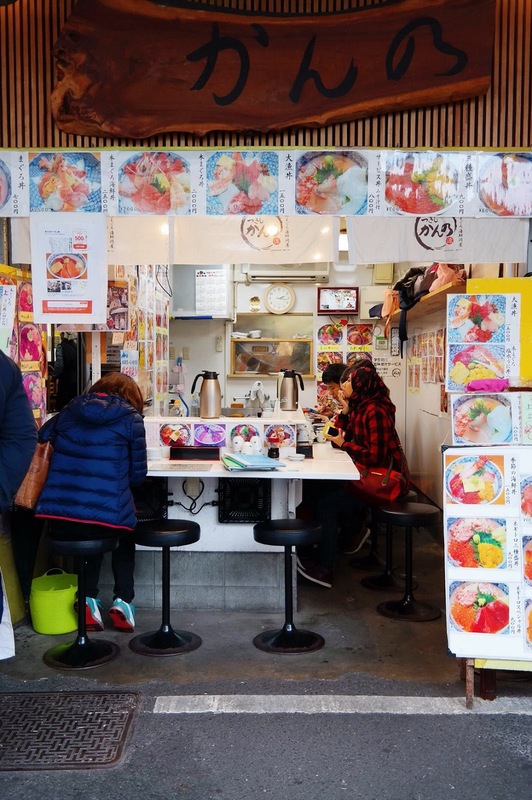 Remember, when I stressed the "must-visit" part? 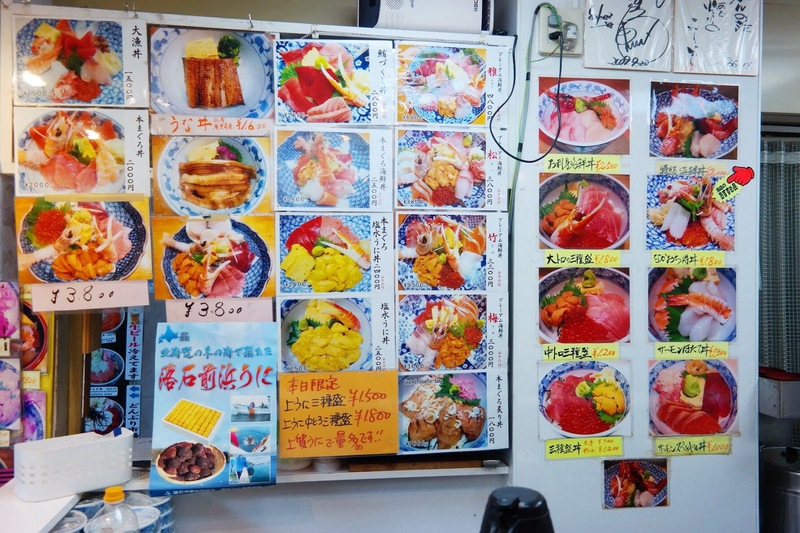 Thank goodness for menu with large pictures, but they do have English menu too!